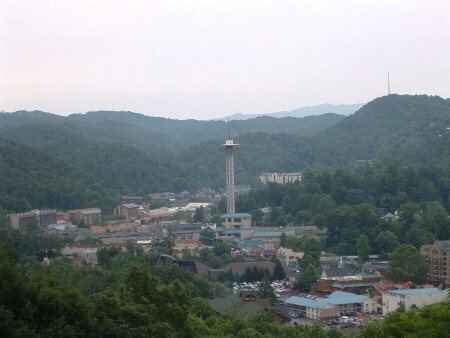 Everyone loves the amazing Smoky Mountains and the hills of Tennessee so join TapRooT® for a 5-Day Advanced Root Cause Analysis and Team Leader Training Public Course in Gatlinburg, TN on June 22, 2015. Nestled right on the edge of the Smoky Mountain National Park, Gatlinburg is filled with beautiful scenery and history. It’s also a short drive from Pigeon Forge/Sevierville, where you can shop at outlet malls, visit Dollywood theme parks, walk through Ripley’s Aquarium, and find all the entertainment you need. Come see why TapRooT®, like so many other Tennesseans, love this exciting city. Apple Barn: Enjoy homemade apple fritters, turnovers, pies, butter, sauce, cider- you name it! And take a look through the shop to bring some home. Crockett’s Breakfast Camp: Davy Crockett is a Tennessee Hero, so it only makes sense to visit his restaurant for the best breakfast in town. Wild Plum Tea Room: This little diner is often referred to the little gem of Gatlinburg. All the homemade, country cooking you desire! Ripley’s Aquarium of the Smokies: Voted Top Traveler’s Choice in 2014- the interactive exhibits and amazing variety of sea life is well worth the trip. Tanger Outlet Malls: Snag the deal of the century at the Tanger Outlet shops. Every story you could imagine are placed in this one location. Dollywood and Dollywood Splash Country: Dolly Parton’s own amusement park with roller coasters, shows, water parks and delicious country food. Wilderness Family Resort: Bringing the whole family for a getaway? The indoor water-park and cabin-like theme at Wilderness has become the new popular attraction. Ready for a great trip to the Smoky Mountains? Click here to register. It’s not too late to register for the Global TapRooT® Summit happening THIS JUNE 1-5.